Boasting a panoramic rooftop terrace with swimming pool and restaurant, Hotel Sole Garda is just 200 m from Lake Garda shores. 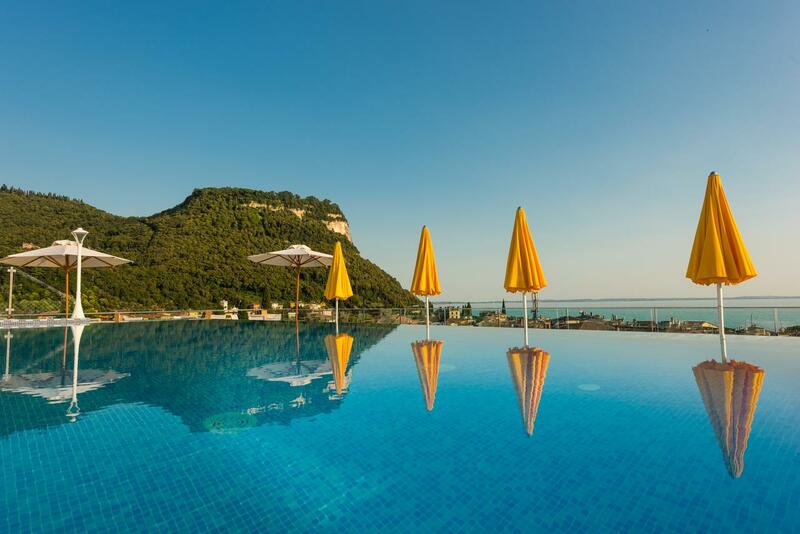 This 3-star superior hotel is in Garda centre, 500 m from the nearest beach. WiFi is free throughout. Bright and colourful, all rooms come with air conditioning and a private balcony or terrace. They all feature a satellite TV, a minibar and a private bathroom with a hairdryer and toiletries. A buffet breakfast is served each morning, while the restaurant offers Italian dishes at dinner. Ideal for exploring the Lake Garda area, the hotel is less than 10 minutes' drive from Torri del Benaco for boat trips across the lake.